Here’s a nice idea from fiber rigging specialists Colligo Marine. Stackers are lightweight but strong static blocks—no moving parts—with integrated becket, that can be “stacked” together to form purchases of up to 5:1. They’re designed for slippery Dyneema-type lines and for applications that don’t require high-tech roller or ball-bearing blocks. 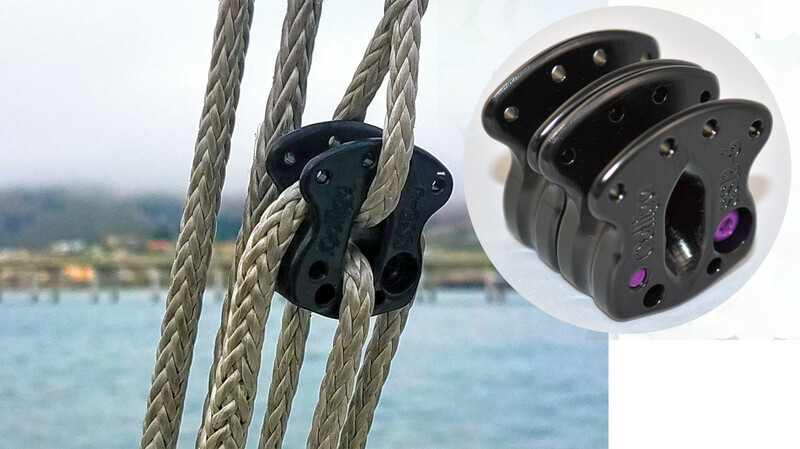 Stackers can be used singly with soft shackles or spliced into lines, for instance, a running backstay or inner forestay, or lashed together for multiple-part purchases. Available for 6mm, 9mm or 14mm line.